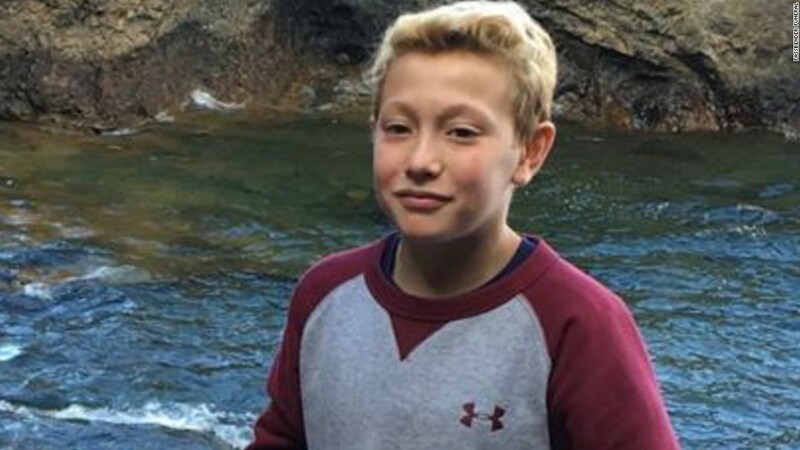 (CNN) An 11-year-old boy who died last week of injuries suffered in a March suicide attempt will be laid to rest Tuesday. When Tysen Benz of Marquette, Michigan, hanged himself March 14, he left no note. But his mother, Katrina Goss, says Benz was the victim of a prank that drove him to take his own life. According to Goss, Benz killed himself after receiving text messages that led him to believe a girl he considered his girlfriend had herself committed suicide. Marquette County Prosecutor Matt Wiese said on Monday that his office last week charged that 13-year-old girl with malicious use of telecommunication services and using a computer to commit a crime for sending false reports of her own death to Benz. Neither the prosecutor nor the Marquette Police Department would identify the 13-year-old, citing her age. “The person sending the message purported to be a different person,” Wiese said. The messages were “Hoax- or prank-like,” he said, and they were sent directly to Benz. Wiese said it was impossible to tell if this was the cause of Benz’s suicide, but called the connection logical. “We don’t know, and we’ll never know, why he did what he did. It’s logical to presume they’re related,” Wiese said of the messages. Goss said Monday that she believes stronger charges should have been filed against the 13-year-old girl. “Telling somebody they should go do something to themselves is not a crime, even if they go through with it,” he said, referring to Michigan law. Benz was the middle child in a family of three boys. Goss described her son as “selfless to a fault.” She said he was an avid athlete who played soccer, hockey and golf. Photos on social media showed Benz and his brothers in hockey uniforms. Goss said last week that Benz bought himself the phone he used to talk to the 13-year-old girl. Goss said Benz had never referred to the girl as his girlfriend directly to her, because she didn’t approve of him dating, but she believes Benz thought of her as his girlfriend. “They were supposedly boyfriend and girlfriend; I don’t know what that means at his age,” Goss said. Benz was on life support at University of Michigan Hospital in Ann Arbor until April 4, when he died from his injuries. A GoFundMe site in his name has raised over $40,000 for his family. Benz’s funeral is scheduled for Tuesday in Marquette.